Quest journal and experience bar | Astral Byte Ltd. When a game has a good user interface, you might not even notice it. The converse however, is not true. When a UI is bad they really destroy the game play experience. Not that UI design is a pure science. There are many schools of thought on what makes a good one. Some minimalistic, others put every button you could imagine on screen at once. I tend to like the ones that don’t get in the way, but still provide you easy access to what you need the most. I spent some time redesigning my old quest journal. Typical you would see a list of open quests on the side of the screen. Often transparent background with just the quest tiles open. The problem with this approach is that it clutters the display. I resolved this by having my quest window “slide” out from the right of the screen when needed. If there is a new quest, or a quest has been completed, then the arrow will slowly pulse colors. This lets the player know, hey there is new information here. New quest log slide out and XP bar at bottom. Additionally, I’ve added a dynamic XP bar that slowly follows the player’s XP. The White is change in XP and will be immediate. While the Green XP bar will slowly catch up with it. Giving feedback on just how much XP the last action gave them. Here you can see the quests after the window slides from the right. 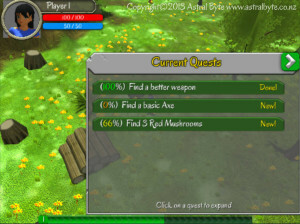 Each quest has a percentage complete on the left. Quests that have not been viewed by the player are marked as “New!” And of course when it is finished, the quest will remain in the log until the player clicks to accept the reward. This prevents them from being disrupted during combat with a “accept your reward” dialog box. 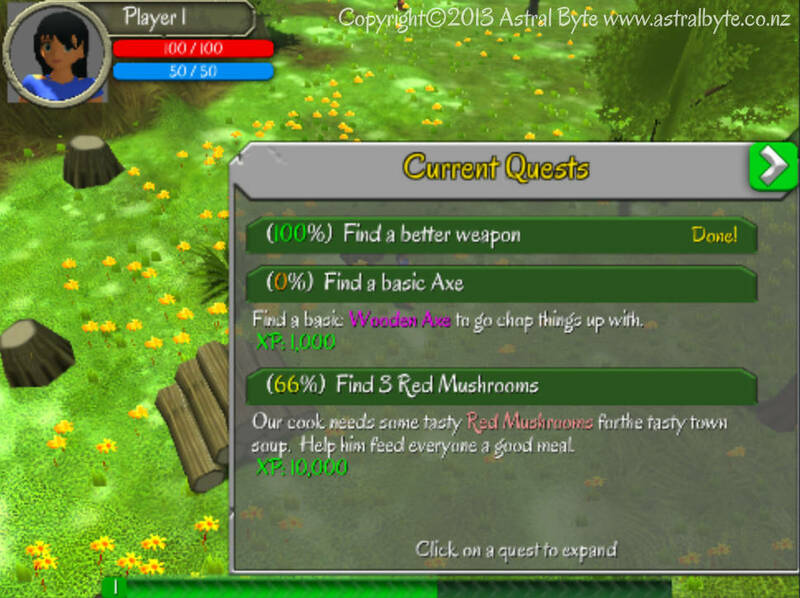 When the player clicks on the quest heading, the quest will slide out under and show the description and reward. I also put an early version of the player avatar in the top right. 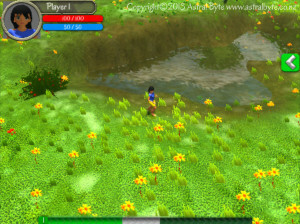 Though I’m having problems with my shader and alpha clipping. There is a good amount of animation and visual feedback for the user that cannot be captured in a screenshot. Until I get some videos, they will have to do for now.